Based on overcoming these issues, I will explore a more practical way by focusing on changes in attitudes and processes necessary for science of security to become more the rule than the exception. Dr. Tom Longstaff is currently on a two-year assignment as the Technical Director of the Systems Behavior group within the DoD National Security Agency. Prior to coming to NSA in 2012, Tom was the Chief Scientist for the Cyber Missions Branch of the Applied Physics Laboratory (APL). Tom is also the chair of the Computer Science, Information Assurance, and Information Systems Engineering Programs within the Whiting School at The Johns Hopkins University. The low pressure area called System 92S that tracked across northern Madagascar this week and brought flooding rains has moved into the Mozambique Channel, strengthen and has been renamed Irina. NASA satellites captured a visible image of Irina as it filled up the northern half of the Mozambique Channel. System 92S strengthened into Cyclone Irina off Cape St Andre, Madagascar after moving across the northern half of the country as a soaking low pressure area. Now in the warm waters of the Mozambique Channel (the body of water between the island nation of Madagascar and Mozambique on the African mainland), it is strengthening and moving to the west. 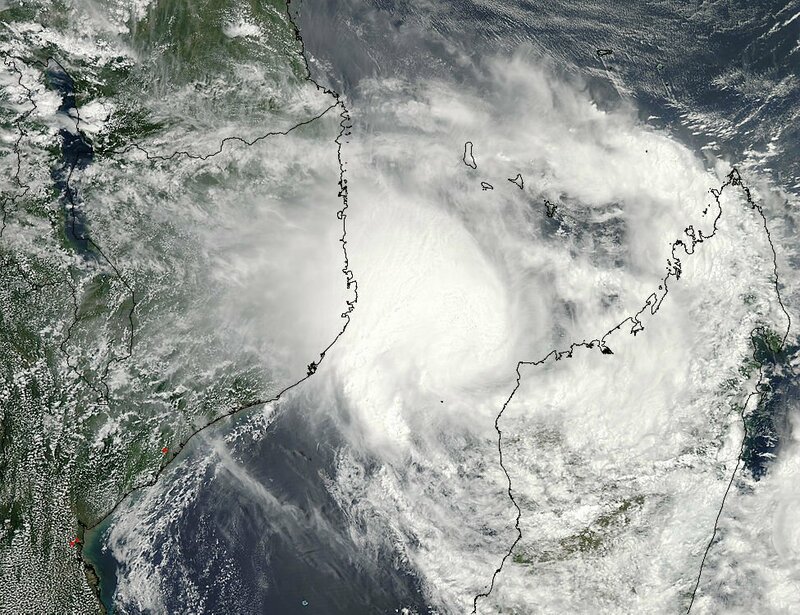 NASA's Aqua satellite's MODIS instrument captured a visible image of Tropical Cyclone Irina over the Mozambique Channel on February 29, 2012 at 1100 UTC (6 a.m. EST). It showed the center of Irina in the northern Mozambique Channel and its clouds extended from Mozambique in the west across the channel to Madagascar. The Atmospheric Infrared Sounder (AIRS) instrument showed another view of the storm: one in infrared light. Infrared light helps determine temperatures of cloud tops and sea surface temperatures, two factors important in tropical cyclones. Warm sea surface temperatures in excess of 26.6 Celsius (80 Fahrenheit) help maintain a cyclone. The warmer the sea surface, the more energy gets fed (evaporation and moisture) into a tropical cyclone, helping it grow stronger. Sea surface temperatures in the Mozambique Channel are near 29 Celsius (84F), which is helping Cyclone Irina develop and strengthen. The cloud-top temperatures need to be the opposite of sea surface temperatures to indicate strengthening. The colder the cloud top temperatures, the higher and stronger the thunderstorms are that make up the tropical cyclone (a cyclone/hurricane is made up of hundreds of thunderstorms). Infrared satellite imagery allows forecasters to see where some of the most powerful thunderstorms are in a tropical cyclone. AIRS infrared data has observed that Irina's cloud top temperatures have grown colder since yesterday, February 28, indicating more strength in the storm. North of Irina's center, cloud top temperatures are now colder than -63 Fahrenheit (-52.7C), a threshold in AIRS data that indicates some of the strongest thunderstorms in a tropical cyclone. Forecasters at the Joint Typhoon Warning Center (JTWC) using infrared satellite data noted that "Deep convection remains confined along the northern half (of the storm)." Vertical wind shear has been weakening slowly, but is still between 10 and 15 knots (11.5 and 17.2 mph /18.5 and 27.8 kph). On February 29, 2012 at 1500 UTC (10 a.m. EST), Irina was a tropical storm with maximum sustained winds near 35 knots (~40 mph/~65 kph). It is centered in the Mozambique Channel, about 305 nautical miles northwest of Antananarivo, Madagascar, near 16.2 South and 42.6 East. JTWC forecasters said today, February 29, that they expect the storm to be strongest between March 2 and March 3 as it moves through the center of the Mozambique Channel. Landfall is expected after 72 hours from 1500 UTC on Feb. 29, which would put it around 1500 UTC (10 a.m. EST) on March 3, 2012 when Irina is forecast to make landfall north of Maputo, Mozambique. Ron Colantonio (left), manager of the Atmospheric Environment Safety Technologies Project at NASA’s Glenn Research Center in Cleveland, discussed with NASA Administrator Charlie Bolden the latest testing and research on airplane engine icing during the administrator's February 2012 visit to the center. Colantonio showed Bolden how a large horizontal array of spray bars, such as those pictured, would emit a cloud of ice crystals in high-altitude, low pressure conditions that match those an airliner might experience in flight. NASA scientists are mounting a research campaign using flight and ground tests to solve this aviation mystery, in which ice crystals associated with warm-weather storms can be ingested into the core of a hot jet engine, melt and then re-freeze. As larger amounts of ice build up, some of the ice can break off and cause damage inside the engine, or melt and cause the engine to lose power or shut down altogether in a flameout. Part of the research effort involves using the spray bars to simulate the icing conditions in engines on the ground at the Propulsion Systems Laboratory at Glenn. Eventually, a full-scale engine will be mounted opposite the bar array. ARLINGTON, Va. (NNS) -- Engineers have fired the Navy's first industry-built electromagnetic railgun (EM Railgun) prototype launcher at a test facility, commencing an evaluation that is an important intermediate step toward a future tactical weapon for ships, officials announced Feb. 28. "We are starting our full-energy tests to evaluate the barrel life and structural integrity of the prototype system," said Roger Ellis, program manager of the EM Railgun, part of ONR's Naval Air Warfare and Weapons Department. "It's the next step toward a future tactical system." The 32-megajoule prototype demonstrator, built by BAE Systems, arrived at NSWCDD on Jan. 30. One megajoule of energy is equivalent to a 1-ton car being thrust at 100 mph. The prototype-which now looks more like a naval weapon compared to previous lab-style launchers-is the first of two industry-built launchers to be delivered to the Navy. 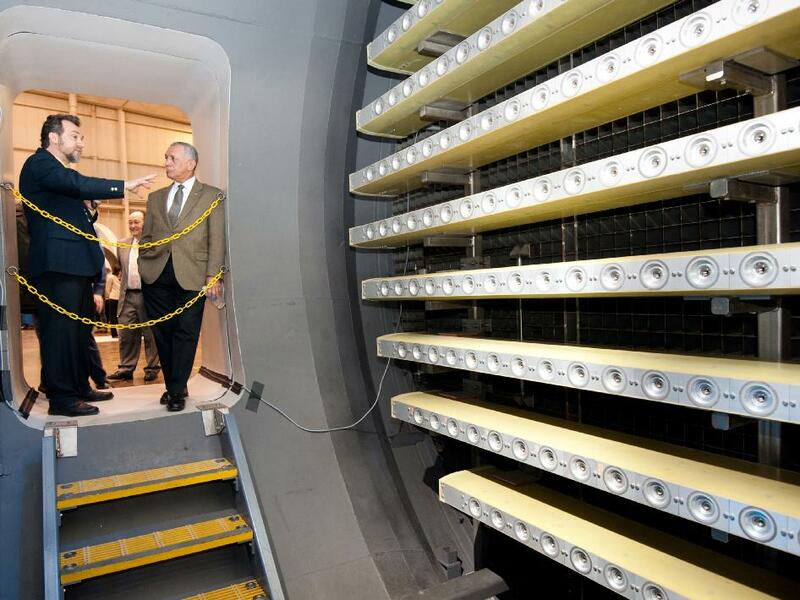 General Atomics is building the second launcher, scheduled for delivery in April. ONR previously relied upon laboratory-built systems to advance the technology. After installing the BAE Systems launcher and outfitting it with a comprehensive suite of sensors, high-speed cameras and measuring devices, engineers fired successful low-energy test shots to prepare it for the evaluation. The team will conduct tests at 20 megajoules and 32 megajoules, shooting test projectiles similar to what was previously fired through NSWCDD's laboratory launcher. "The test series will characterize the gun's performance by shooting several rounds through the barrel at various energy levels to fully exercise the capabilities of the prototype," said Ellis. When fully developed, the EM Railgun will give Sailors a dramatically increased multimission capability. Its increased velocity and extended range over traditional shipboard weapons will allow them to conduct precise, long-range naval surface fire support for land strikes; ship self-defense against cruise and ballistic missiles; and surface warfare to deter enemy vessels. The Navy's near-term goal is a 20- to 32-megajoule weapon that shoots a distance of 50 to 100 nautical miles. To achieve this, the Navy is moving ahead with the EM Railgun program's next phase: to develop thermal management systems for both the launcher and pulsed power to facilitate increased firing rates of up to 10 rounds per minute. Toward this end, BAE and General Atomics have been contracted to begin concept design of a next-generation thermally managed launcher. Additionally, ONR awarded contracts through Naval Sea Systems Command to General Atomics, BAE Systems and Raytheon Co. to develop a pulsed power system capable of meeting the firing rate goal. Various new and existing ship platforms are currently being analyzed for future integration. Labels: BAE systems, contracts, engineers, general atomics, military technology, navy, office of naval research, raytheon co.
Several online participant webinars are scheduled for Tuesday, March 6, 2012, and Wednesday, March 7, 2012, from 2:30-4:00pm/EDT. These webinars will provide information about the Federal Cyber Service: Scholarship for Service (SFS) Program. If interested in attending any of the scheduled webinars, please email Akiko Elders, Science Education Analyst in the Division of Undergraduate Education, at aelders@nsf.gov. Please provide her with the date of the webinar in which you would like to participate as well as your full name and email address. After your request is submitted, you will receive an invitation with instructions for registration. You are encouraged to register as soon as possible, because each session can only accommodate 100 participants. Please note that each individual should only request to participate in one webinar session. For questions about the webinars, please contact Dr. Guy-Alan Amoussou, Program Director, Division of Undergraduate Education at gamousso@nsf.gov. FORT SAM HOUSTON, Texas — Saving the lives of combat wounded is one of the main objectives at the U.S. Army Institute of Surgical Research at Fort Sam Houston, Texas. Research on prehospital care devices like the tourniquet has proven to save lives in the battlefield wounds to the arms or legs, which was once the most common cause of preventable death. Now, after almost two years of research on a device to prevent the most common cause of preventable death in the battlefield, the junctional tourniquet is ready for battlefield use. Research on the effectiveness and type of battlefield truncal tourniquet began in 2009 after the Committee on Tactical Combat Casualty Care made it a research priority. Shortly after this, the Combat Casualty Care Research Program, of the U.S. Army Medical Research and Materiel Command, and USAISR headquarters requested candidate devices for the research. The Combat Ready Clamp, or CRoC, which has been approved by the U.S. Food and Drug Administration, is manufactured by Combat Medical Systems in Fayetteville, N.C. This clamp was selected from a handful of junctional tourniquet prototypes from those submitted after the request for candidate devices. The USAISR is committed to optimizing combat casualty care by focusing on providing requirement-driven combat casualty care medical solutions and products for injured Soldiers, from self-aid through definitive care, across the full spectrum of military operations. On Monday, March 12, the Office of Naval Research is pleased to host the American Association for the Advancement of Science CEO, Dr. Alan Leshner as the next speaker in the Director of Innovation’s ONR Distinguished Lecture Series. Dr. Leshner’s talk is entitled “The Evolving Climate for Science and Engineering.” In his positions as CEO of the American Association for the Advancement of Science, publisher of SCIENCE magazine, and member of the U.S. National Science Board, Dr. Leshner has a uniquely broad perspective on the U.S. Science, Technology and Innovation enterprise. Dr. Leshner will draw from his current roles as well as his long experience as a university researcher and then scientific administrator in various Federal agencies, to explore the challenges and opportunities government agencies and their academic and public sector partners currently face in Science and Engineering. What are the impacts of strengthening international competition, budget pressures, a domestic crisis in STEM education, and other issues? What is the role of national policy and how might we better coordinate our efforts at the Federal level while preserving a core strength derived from individually guided, discovery based research? Please join us for an important conversation about the future of Federal ST&I with this significant public policy thought leader. We’ll be streaming the talk live here on the Armed with Science blog via UStream. If you’re in the Arlington, VA, area, you can attend the talk in person by registering at the ONR website . Construction of CJIS main building in 1993 in Clarksburg, West Virginia. The main complex was dedicated in May 1997. Twenty years ago this month, then-FBI Director William Sessions approved the consolidation of the Bureau’s criminal justice information systems—at that time spread across several FBI Headquarters divisions—into a singular entity to be known as the Criminal Justice Information Services Division that would be located in Clarksburg, West Virginia. The reason for the consolidation was two-fold. First, to ensure that as those systems grew and as new systems were developed, they would be closely integrated in order to “talk” to one another. And second, to offer our local, state, federal, and international partners access to the state-of-the-art identification and information services they needed to effectively perform their missions in an ever-more challenging criminal justice environment. 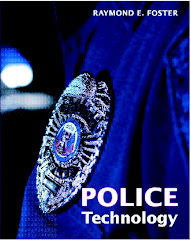 Since 1992, we have continued to enhance our existing information systems—including the Integrated Automated Fingerprint Identification System, the National Crime Information Center, and our Uniform Crime Reporting program. We have also developed new systems and initiatives during the past 20 years—like the Law Enforcement National Data Exchange (N-DEx), the National Instant Criminal Background Check System (NICS), and the Next Generation Identification (NGI). And as we move forward into the future, we will continue to innovate our information and identification systems to equip our law enforcement, national security, and intelligence community partners with the criminal justice information they need to protect the U.S. while preserving our nation’s civil liberties. WASHINGTON (Army News Service, Feb. 10, 2012) — The U.S. Army’s 75th Ranger Regiment in Afghanistan recently completed an operational assessment of the software-programmable Joint Tactical Radio Systems, or JTRS, Rifleman Radio. The assessment highlighted the radio’s ability to share combat-relevant information, voice and data across small units in real time. The Operational Assessment marked the first formal combat use of the single-channel, software-defined Rifleman Radio, which uses Soldier Radio Waveform, or SRW, a high bandwidth waveform which draws upon a larger part of the available spectrum compared to legacy radios to share information and “network” forces. Rifleman Radio is part of a family of software-programmable JTRS radios, which make use of NSA-certified encryption to safeguard and transmit information. The radios are built to send packets of data, voice, video and images via multiple waveforms between static command centers, vehicles on-the-move and even dismounted individual Soldiers on patrol. The operational assessment of Rifleman Radio is part of an overall acquisition strategy aimed at rapidly and effectively harnessing Soldier feedback as a vital element of procurement and technology development efforts, said Brig. Gen. Michael Williamson, Joint Program Executive Officer, JTRS. The general said the Rangers spent a lot of time using the radios and “clearly had a significant level of confidence” in the system. Rangers liked the size, weight and power of the Rifleman Radio, which provided a battery life of up to ten hours and increased the units’ ability to communicate despite obstacles such as buildings and nearby terrain. The elite Ranger unit, which outfitted multiple platoons with the Rifleman Radio while conducting various tactical missions in Afghanistan, indicated that the systems greatly assisted their unit’s ability to exchange key information such as position location information faster, further and more efficiently across the force, Zavarelli said. Rifleman Radio and SRW allowed the Ranger units to establish a mobile, ad-hoc network. Using that network, squad leaders, commanders and dismounted infantry shared and viewed mission essential information using small, hand-held, end-user devices with display screens. The devices displayed digital maps that allowed users to view surrounding terrain and to also locate nearby friendly forces, Zavarelli explained. Using the software programmable Rifleman Radio and SRW, the Rangers were able to “network ” voice, data and information across deploying units in austere environments, without needing to rely upon a “fixed” infrastructure or GPS system to communicate across the unit while on the move. The success of this Rifleman Radio Operational Assessment, which included 125 radios, is expected to inform ongoing JPEO JTRS, Army and U.S. Special Operations Command considerations regarding planned future deployments of the radio. In fact, further development of the JTRS Rifleman Radio is being greatly assisted by feedback from Army Rangers who used the device in theater. Overall, incorporating feedback from the Rangers is consistent with the aims of the Army’s ongoing bi-annual Network Integration Evaluations, which are geared toward identifying, integrating and assessing capability, systems and technologies for Soldiers before they are sent to theater, Williamson explained. Placing a premium upon Soldier feedback is a key element of the Army’s “agile process” approach to acquisition, which seeks to expedite development and delivery of emerging technologies by evaluating them in tactically-relevant, combat-like scenarios such as the NIE. Ultimately, the Army plans to broadly deploy the JTRS Rifleman Radio across the entire force. 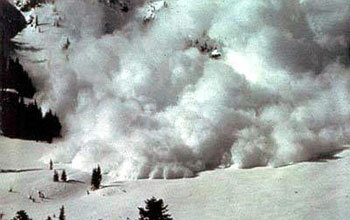 In this winter seemingly without snow, avalanches have been a frequent occurence. Too frequent, say National Science Foundation- (NSF) funded atmospheric scientists Jim Steenburgh and Tim Garrett of the University of Utah. So far this winter, there have been some 20 avalanche fatalities in the United States alone. Steenburgh and Garrett will be on-line this Thursday at 3 p.m. EST to talk about recent avalanches and what they may tell us about this--and other--winter seasons, and how we might learn to live with these extreme natural hazards. ScienceNOW, the daily news site of the journal Science, will host the live chat. Put on your ski parka and tune in when these intrepid scientists go behind the scenes at Alta Ski Area in Utah and into the snow clouds--and the snowpack beneath them. The researchers study lake-effect snowstorms that lead to Utah's famed Greatest Snow on Earth, and are working on the top of Alta to photograph snowflakes. 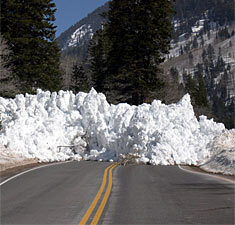 When snowflake after snowflake after snowflake lands, under certain conditions, they may become an avalanche. How and why do avalanches happen, and what can they tell us about weather--and climate? Follow Steenburgh's atmospheric science blog, Wasatch Weather Weenies, to track coming storms. And join Garrett at Snowflake Showcase, a study plot in the Collins Gulch area of Alta Ski Area where Garrett uses an NSF-funded high-speed camera to automatically photograph snowflakes in free-fall. By relating snowflake types to local meteorology, Garrett's aim is to improve forecasts of local weather and snowpack. Snowflake size and shape affect snowpack density and are important factors for making accurate weather forecasts. Today's forecasts rely on snowflake research done painstakingly by hand in the early 1970s. We've come a long way since then. Find out how far on Thursday. Jim Steenburgh, atmospheric scientist at the University of Utah, lead scientist for NSF-sponsored research on winter storms produced by the Great Salt Lake and Wasatch Mountains. Tim Garrett, atmospheric scientist at the University of Utah and developer of the NSF-funded Multi-Angle Snowflake Camera, which provides spectacular three-dimensional images of snow crystals during winter storms. Is Utah snow really the greatest on Earth? Why does it snow so much (more than 500 inches annually) at Alta, Utah? How does one deal with avalanche risk in a place where it snows this much? Where, when and why are people killed by avalanches? Is this year an unusual one in terms of the number of avalanche accidents? What kinds of snowflakes does one see in winter storms, and why would scientists care? How will this research help weather prediction, avalanche forecasting and avalanche control efforts in the Wasatch Mountains and elsewhere? To participate in the chat, visit the Science chat page on Thursday, March 1, 2012, from 3 to 4 p.m. EST and submit your questions. A transcript of the chat will be archived on the ScienceLIVE Web site. This chat is part of Science's weekly series on the hottest topics in science; the chats are held every Thursday at 3 p.m. ET. When the last ice age ended more than 10,000 years ago, many large species of mammals went extinct and others underwent changes in appearance. But what caused evolutionary changes to take place in the mammals that remained alive? 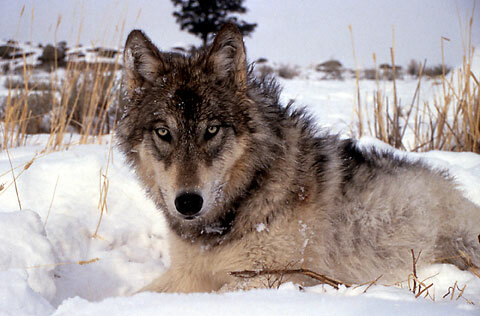 A study by Julie Meachen of the National Science Foundation (NSF) National Evolutionary Synthesis Center and Josh Samuels of the John Day Fossil Beds National Monument reveals that gray wolves and coyotes, once more similar in size, took the extinction in different strides. Coyotes changed from large, pack-hunting dogs to the smaller canines we know today and wolves essentially remained the same. Changes in body size occurred for coyotes because large prey and their large competitors were disappearing, the researchers find. The journal Proceedings of the National Academy of Sciences published the results this week. Today's gray wolf is five to six feet from nose-to-tail; modern-day coyotes measure three to four feet. Gray wolves usually weigh 80 to 120 pounds; coyotes, in comparison, weigh a mere 30 to 40 pounds. Meachen and Samuels began searching for the answer for these changes in appearance by looking at an ecogeographic principle called Bergmann's rule, which states that as climate gets colder, or as one moves farther away from the equator, animals get bigger. Surprisingly, however, coyotes don't show a correlation between climate and body size. The researchers then took another approach. They hypothesized that perhaps species interactions, or lack thereof, caused the shift. To find out if this could be the case, the scientists examined body size in living coyotes across different climates from North Dakota to southern California. They also measured the skeletons of wolves (Canis lupus) and coyotes (Canis latrans) from Pleistocene-aged tar deposits, as well as of early, mid-, and recent Holocene (end of the Pleistocene to the present) populations of both. They found few differences between Pleistocene and Holocene wolf populations. 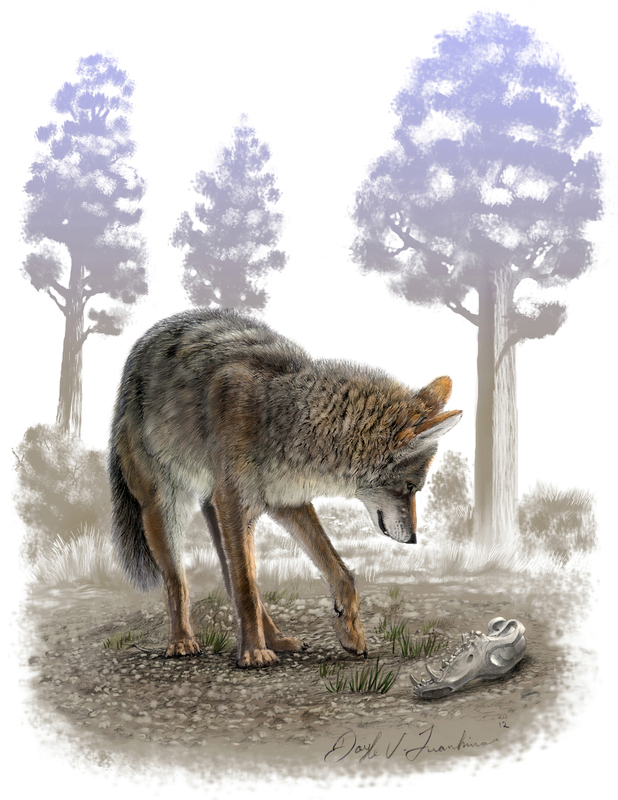 Coyotes in the Pleistocene (Canis latrans orcutti) were distinct from existing coyotes, however. The skulls and jaws of C. l. orcutti were significantly thicker and deeper than those of recent populations. Pleistocene coyotes also had wider teeth for processing meat--an adaptation for killing larger prey and dealing with higher stresses during food acquisition and processing. These characteristics suggest that C. l. orcutti was more carnivorous than modern coyotes. "In a time of increasing loss of biodiversity, understanding the degree to which species interactions drive evolutionary change is important," says Saran Twombly, program director in NSF's Division of Environmental Biology, which supported the research. "This study provides evidence that interactions among carnivores and their prey are the probable cause of evolutionary change in coyotes." Wolves are large-prey specialists that hunt in packs by means of a long, enduring chase. In contrast, coyotes are usually solitary predators of small mammals, such as rodents and rabbits. Yet coyotes can be opportunistic hunters with changing prey-killing behaviors because of their intermediate size and adaptability. Some of these behaviors would bring them into direct competition for food with wolves. "These species interactions are likely what caused the shift in coyote morphology we see in the fossil record--and into today." The results are interesting for two reasons, says Meachen. In a relatively short time span, there's been a significant change in the body size and shape of a large mammal species. The findings also offer a snapshot of species interactions in extinct animal communities, Meachen says. "Although we can't pinpoint the exact cause of the change in coyotes, we can show that it is not being directly caused by climate. The most likely explanation is interactions among species." WASHINGTON -- NASA' s associate administrator for the Science Mission Directorate, John Grunsfeld, has named former veteran NASA program manager Orlando Figueroa to lead a newly established Mars Program Planning Group (MPPG) tasked to reformulate the agency's Mars Exploration Program. Figueroa's first assignment is to develop a draft framework for review by March 15. Grunsfeld made the announcement at an annual gathering of Mars scientists and engineers in Dulles, Va. Figueroa, a consultant with more than 30 years of aerospace experience, will lead the scientific and technical team to develop an integrated strategy for NASA's Mars Exploration Program in light of current funding constraints. The team's initial focus will be on a possible 2018-2020 robotic mission. The program's official framework will be developed in consultation with the science community and international partners and is expected to be released for full review as early as this summer. "The team will develop a plan that advances the priorities in the National Research Council's Decadal Survey, which puts sample return as the top scientific goal, and leverages NASA's research in enabling technology," Grunsfeld said. "Our investments in the new Mars program will incorporate elements of advanced research and technologies in support of a logical sequence of missions to answer fundamental scientific questions and ultimately support the goal of sending people to Mars." NASA has a recognized track record of successful Mars missions. The rover Opportunity, which landed on Mars in 2004, is still operating despite an official mission timeline of 90 days. There are also two NASA satellites orbiting the Red Planet; the Mars Reconnaissance Orbiter and Mars Odyssey. 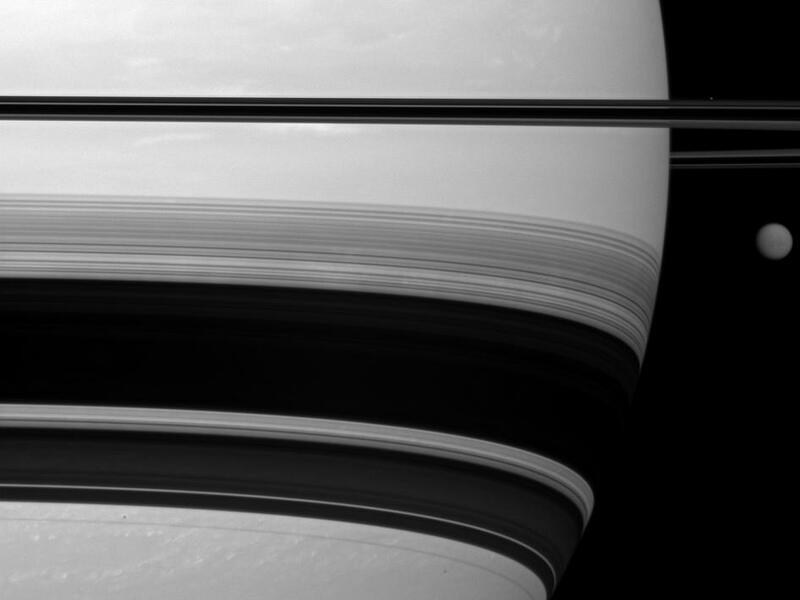 The duo continue to return unprecedented science data and images. This August, NASA will land the Mars Science Laboratory, "Curiosity," on the planet's surface. This roving science laboratory will assess whether Mars was or is today an environment able to support life. In 2013, NASA will launch the Mars Atmosphere and Volatile Evolution orbiter, the first mission devoted to understanding the Martian upper atmosphere. NASA will continue to gather critical information to help scientists understand the Red Planet. These data will be used in future years to meet President Obama's challenge to send humans to Mars in the mid-2030s. "We'll look at all of the assets NASA is developing to reach, explore and study Mars, as well as spacecraft at or on its way to Mars," Figueroa said. "The science and engineering communities have worked continuously over a decade to define our knowledge gaps for Mars exploration, so we have a solid starting point," Grunsfeld said. Mars exploration is a top priority for NASA. America's investment in exploring Mars during the past decade totals $6.1 billion. NASA Administrator Charlie Bolden directed Grunsfeld to lead the agency-wide team in order to optimize a coordinated strategy of Mars exploration and continue America's leadership role in the exploration of the Red Planet within available future budgets. For more information about NASA's Mars programs, visit http://www.nasa.gov/mars. WASHINGTON -- NASA has signed a one-year contract option with Jacobs Technology, Inc., of New Orleans to continue manufacturing support and facilities operations at the Michoud Assembly Facility in eastern New Orleans. The one-year contract option begins on May 1, 2012. The performance based, cost- plus-award-fee, mission services contract with an indefinite delivery, indefinite quantity portion has a potential mission services value of $37 million and a potential maximum order quantity value of $137 million, with the exercise of this first option period. The contract was originally awarded in May 2009. Universities Space Research Association, Columbia, Md. MOFFETT FIELD, Calif. – A team of researchers from the NASA Lunar Science Institute (NLSI) at NASA Ames Research Center, Moffett Field, Calif., have discovered that debris that caused a "lunar cataclysm" on the moon 4 billion years ago struck it at much higher speeds than those that made the most ancient craters. The scientists found evidence supporting this scenario by examining the history of crater formation on the moon. During Earth's earliest days, our planet and others in the inner solar system, including the moon, experienced repeated impacts from debris that formed the building blocks of the planets. Over time, as material was swept up and incorporated into the inner planets, the rate of impacts decreased. Then, roughly 4 billion years ago, a second wave of impacts appears to have taken place, with lunar projectiles hitting at much higher speeds. This increase could reflect the origin of the debris, where main belt asteroids were dislodged and sent into the inner solar system by shifts in the orbits of the giant planets. The team is composed of Simone Marchi, an NLSI postdoctoral fellow, William Bottke, the NLSI Team Lead at Southwest Research Institute, Boulder, Colo., David Kring, the NLSI Team Lead at USRA's Lunar and Planetary Institute in Houston, and Alessandro Morbidelli from the Observatoire de la Cote d’Azur, France. Their research paper, “On the Onset of the Lunar Cataclysm as Recorded in its Ancient Crater Populations,” was recently published in the journal Earth and Planetary Science Letters. The increase in velocities may indicate a change in the solar system when the craters were created. The analysis supports the "lunar cataclysm" hypothesis that the brief pulse of impacting objects 4 billion years ago was due to gravitational disturbances caused by the reorganization of the giant planets as their orbits changed. Nectaris, a crater close to the Apollo 16 landing site, appears to have recorded the spike in asteroid impacts during the "lunar cataclysm." The illustration is an artist's rendition of the solar system and the changes in the asteroid belt that affect the Earth and the Moon. HOUSTON -- NASA has awarded a three-month extension with two three-month options, for a total of nine months, on a contract with Computer Sciences Corporation of Fort Worth, Texas, to provide aircraft maintenance and modification support. The extension, including all options, is valued at $46.6 million. NASA's Johnson Space Center in Houston; Dryden Flight Research Center in Edwards, Calif.; and Langley Research Center in Hampton, Va., operate the supported aircraft, which are used for astronaut crew training and NASA flight research. Contracted work will be performed at Johnson, Dryden, Langley and at NASA facilities in El Paso, Texas. The extension begins March 1. It is a cost-plus-award-fee contract. The base contract, valued at $162.1 million, began Sept. 1, 2009. That is the finding of new research published in today's Proceedings of the National Academy of Sciences and it's a doozy. "Our studies suggest that more positive attitudes toward greed and the pursuit of self-interest among upper-class individuals, in part, drive their tendencies toward increased unethical behavior," said lead researcher Paul Piff of UC Berkeley. "The relative privilege and security enjoyed by upper-class individuals give rise to independence from others and a prioritization of the self and one's own welfare over the welfare of others--what we call 'greed,'" explained Piff, whose research was funded in part by a National Science Foundation Graduate Research Fellowship. "This is likely to cause someone to be more inclined to break the rules in his or her favor, or to perceive themselves as, in a sense, being 'above the law,'" he said and therefore become more prone to committing unethical behavior. Piff and colleagues conducted seven survey, experimental and naturalistic studies to determine which social class is more likely to behave in unethical ways--to engage in behaviors that have important consequences for society such as cheating, deception or breaking the law. In two naturalistic field studies that examined unethical behavior on the road, researchers were surprised by the differences between upper and lower class individuals. They found "upper-class drivers" were significantly more likely to pursue their own self-interests and break the law while driving than were "lower-class drivers." For these studies, the researchers defined social class by an observable cultural symbol of social class--namely, the car one drives. Participants then played a "game of chance" in which a computer "randomly" presented them with one side of a six-sided die on five separate rolls. Researchers told participants higher rolls would increase their chances of winning a cash prize and were asked to report their total score at the end of the game. In fact, die rolls were pre-determined to sum up to 12. The extent to which participants reported a total exceeding 12 served as a direct behavioral measure of cheating. 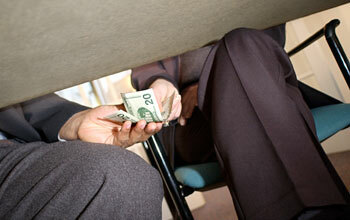 Greed "is a robust determinant of unethical behavior," the researchers write in the report. "Plato and Aristotle deemed greed to be at the root of personal immorality, arguing that greed drives desires for material gain at the expense of ethical standards." For this study, the researchers conclude that, in part, due to their more favorable beliefs about greed, upper-class individuals are more willing to deceive and cheat others for personal gain. "Study 4 is also intriguing," said Piff. Study 4 sought to provide experimental evidence that the experience of higher social class has a causal effect on unethical decision-making and behavior. It was the only study in which researchers manipulated participants into temporarily feeling either higher or lower in social class rank to test whether these feelings actually caused people to behave more or less unethically. "Across all seven studies, the general pattern we find is that as a person's social class increases, his or her tendency to behave unethically also increases," said Piff. 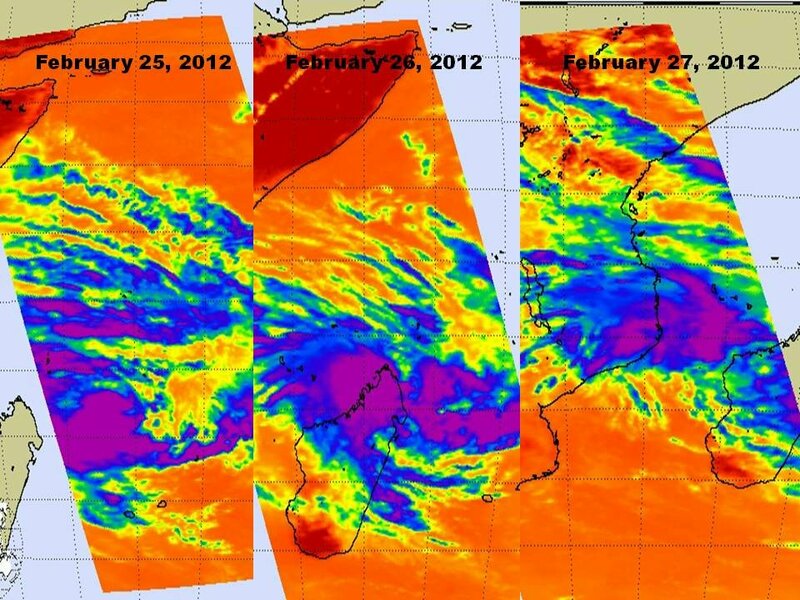 NASA satellites have been watching the low pressure area called System 92S for days, and infrared imagery from NASA's Aqua satellite showed cloud temperatures were cooling, indicating the storm was getting more organized as it moved over northern Madagascar. Now it may be headed for landfall in Mozambique. 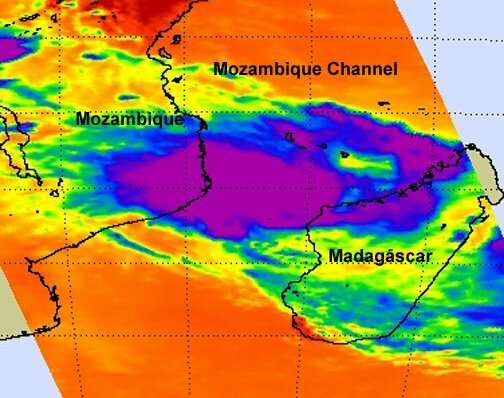 The Atmospheric Infrared Sounder (AIRS) instrument on NASA's Aqua satellite captured infrared imagery on developing System 92S as it moved from the Southern Indian Ocean, west across northern Madagascar and into the Mozambique Channel. On February 25 at 0941 UTC, System 92S appeared as a rounded low pressure area with the strongest storms (and highest, coldest cloud tops on AIRS infrared imagery) south of the center of circulation. It was still in the open waters of the Southern Indian Ocean and was moving west toward Madagascar. By February 26 at 10:23 UTC System 92S was raining on northern Madagascar. 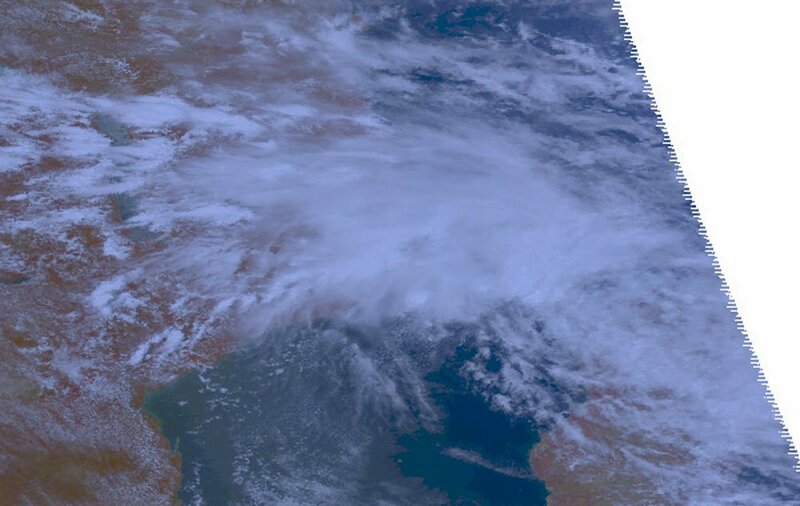 On February 27 at 1105 UTC had moved into the Mozambique Channel and appeared to be heading for a landfall in Mozambique. On the 27th, the strongest thunderstorms and coldest cloud tops appeared in two areas, north and east of the storm's center. On February 27, the center of System 92S was located in the Mozambique Channel, near 13.5 South and 48.5 East, about 345 nautical miles north-northeast of Antananarivo, Madagascar. AIRS infrared imagery indicated that the low had weakened because of its interaction with land, as it moved over northern Madagascar. Now that the center of System 92S is over the warm waters of the Mozambique Channel, it is expected to redevelop quickly. The area of strong thunderstorms east of center, as seen on AIRS imagery is a band of thunderstorms. The Joint Typhoon Warning Center gives this system a high chance for developing further into a tropical cyclone in the next 24 hours. CLEVELAND -- NASA's Glenn Research Center will host an event on March 2 to commemorate the 50th anniversary of John Glenn's orbital flight, the first by an American. "Celebrating John Glenn's Legacy: 50 Years of Americans in Orbit" will be held at 1 p.m. EST at Cleveland State University's Wolstein Center, 2000 Prospect Ave., in Cleveland. More than 800 complimentary tickets are being distributed to the general public for this event through a lottery by Cleveland State University in partnership with NASA Glenn. NASA Administrator Charles Bolden and Glenn Director Ramon "Ray" Lugo will provide remarks during the one-hour program, which will include a welcome from Cleveland State University President Dr. Ronald Berkman. Space shuttle mission STS-95 pilot Steve Lindsey will pay tribute from the astronaut corps to Glenn. The program will culminate with a keynote address by the guest of honor Sen. John H. Glenn Jr.
Musical performances will be provided by the Cleveland Institute of Music, The Singing Angels and a soloist from Cleveland State University's music program. Doors open at noon and a special pre-program musical performance by the Cleveland Institute of Music will begin at 12:15 p.m., followed by a video tribute to Glenn. "This is a great opportunity for our community to come together and celebrate the achievements of John Glenn," Lugo said. "We are delighted to combine the 50th anniversary celebration with the anniversary of the center renaming. The inspiration that John Glenn gives to millions of people along with the pioneering spirit that lives in the hearts of all who work at the center will continue to keep our nation on the path of exploration and discovery." On March 1, 1999, the Lewis Research Center was officially renamed the NASA John H. Glenn Research Center at Lewis Field in recognition of Glenn's contributions to science, space and the state of Ohio. As one of the original seven Mercury astronauts, Glenn trained in 1960 at Lewis in the Multiple Axis Space Test Inertia Facility. Others attending the tribute event include agency officials, Ohio astronauts, NASA employees and contractors, elected officials, several hundred high school students throughout northeast Ohio, and 100 Twitter followers selected to participate in a day-long Tweetup event that includes tours of NASA Glenn and its visitor center at the Great Lakes Science Center. Following the program, Glenn, Bolden and Lugo will participate in a news media opportunity and question and answer session with the Tweetup participants. Reporters interested in covering the program and media availability should contact Lori Rachul at 216-433-8806 by noon on Thursday, March 1. The program and media opportunity will be carried live on NASA Television and streamed online at http://www.nasa.gov/ntv. An interactive online feature about the Mercury program and Glenn's flight is available at http://www.nasa.gov/externalflash/glenn50. For more information about NASA Glenn, visit http://www.grc.nasa.gov.